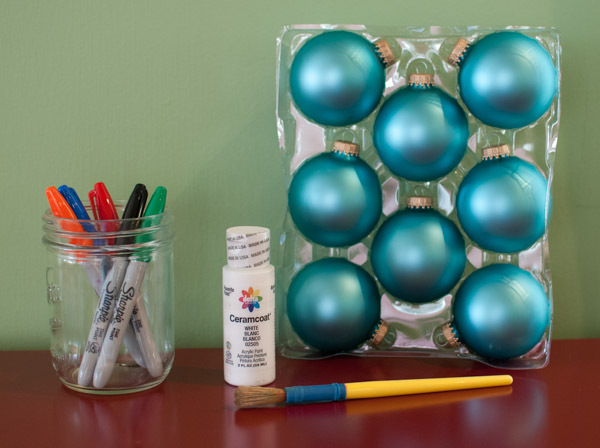 Make fun memories with this simple, festive craft project you and the kids will enjoy. 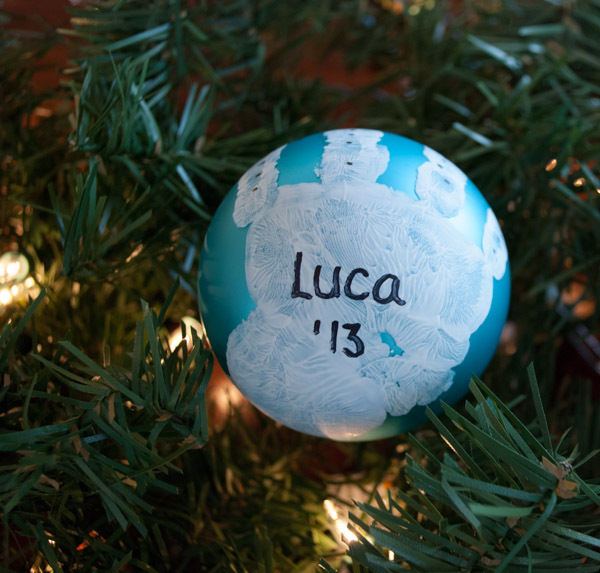 Take a little paint, a blue ornament, some markers and ta-dah! 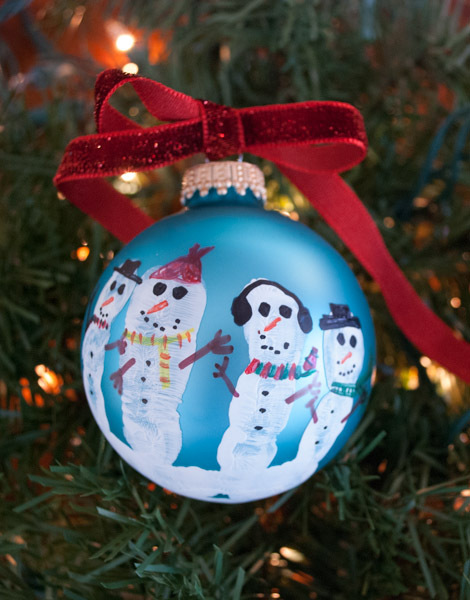 You’ve made a handprint-snowmen ornament. 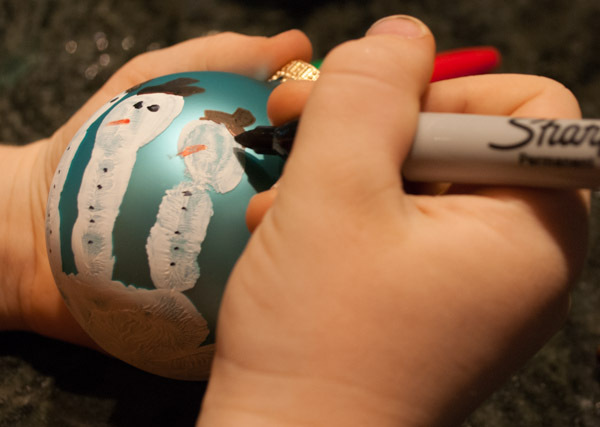 Your child can create a handmade ornament using a few simple materials. This project is quite easy and could make a cute craft for the classroom. We are making them at home to accompany teacher gifts this year. You’ll love the little personalities that came out of each unique fingerprint. 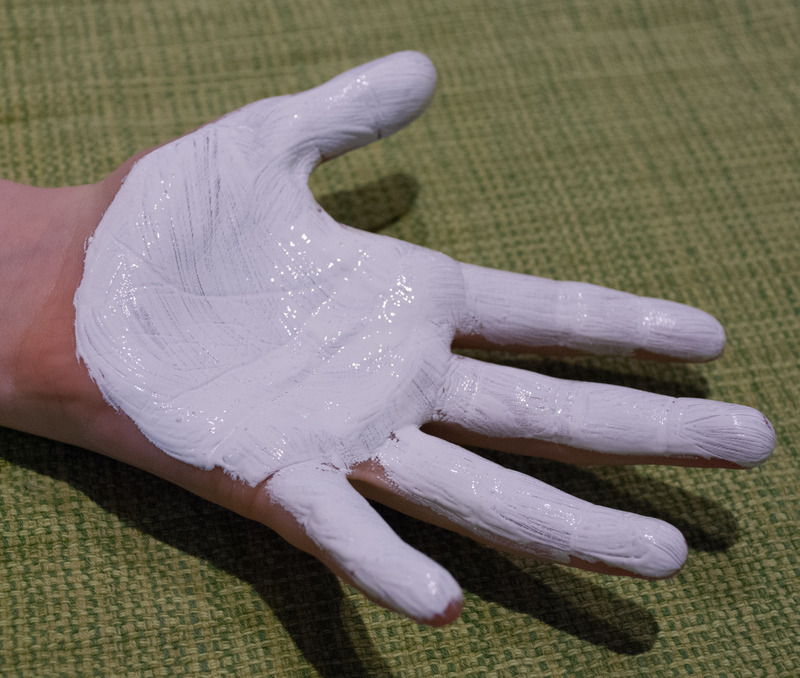 Older kids can paint their own hand, but help younger ones brush paint all over their hand. 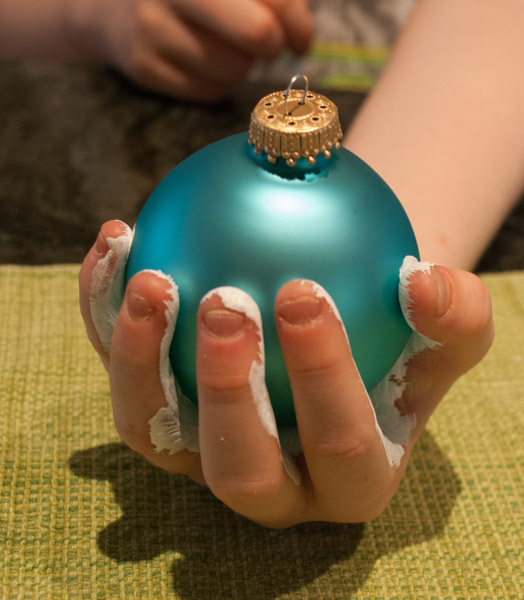 Have your child grasp the ornament, and then help press their fingers onto the ornament to apply paint. 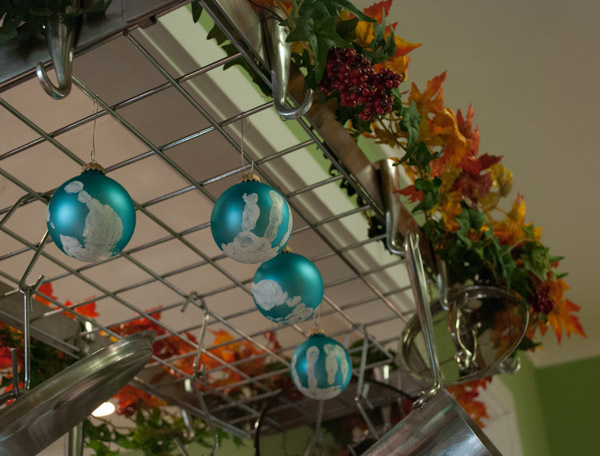 Hang the ornaments to dry. 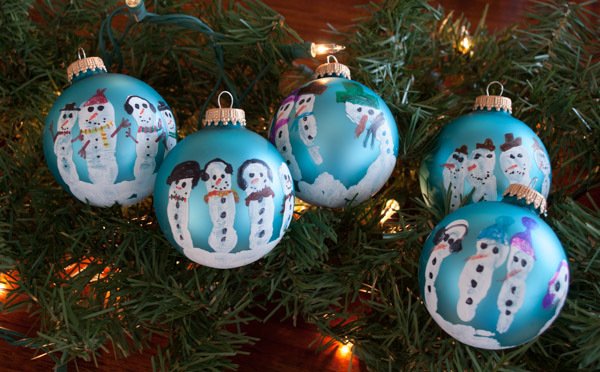 Once dry, have your child adorn their snowmen using Sharpie markers. Don’t forget to write his or her name and the year on the bottom. Add a cute ribbon if you wish and enjoy! Before painting their hand, have the kids practice a few times. Have them hold their hand open, palm up. Place the ornament on their palm and have them grasp the ornament gently. 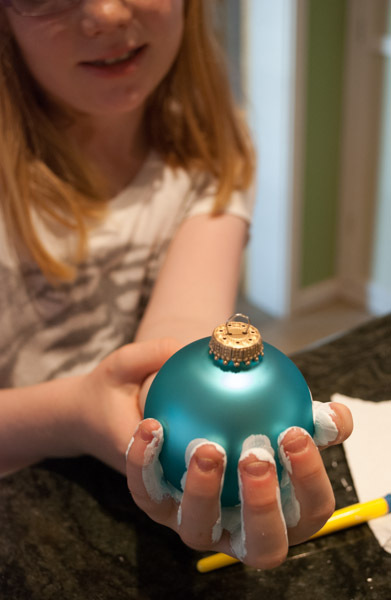 Press their fingers gently onto the ornament. 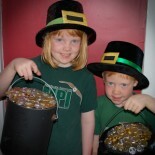 We hung ours to dry from the pot rack in the kitchen using paper clips. This cute and easy-to-do Christmas project was inspired by littlebitfunky.com. 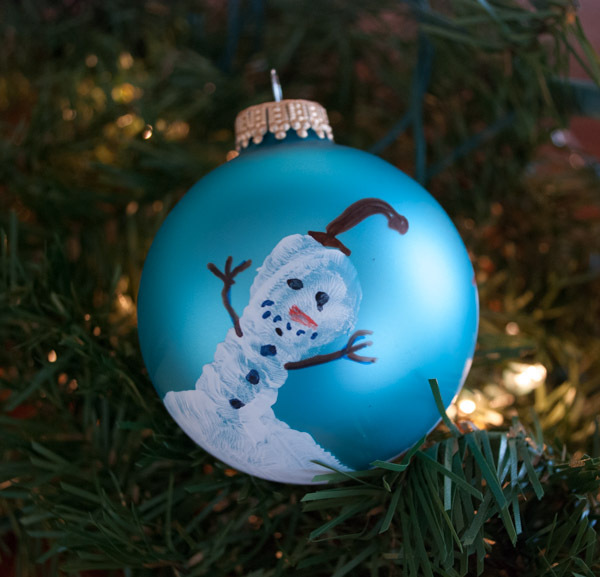 This entry was posted on December 2, 2013 by mdaucello in Christmas, Crafts, Holidays and tagged finger print, hand print, home made, ornament, paint, Sharpie, snowman, snowmen, teacher gift.